McDonald's UK has entered into a partnership with the Nuffield Farming Trust to create a new McDonald's Nuffield Farming Scholarship. 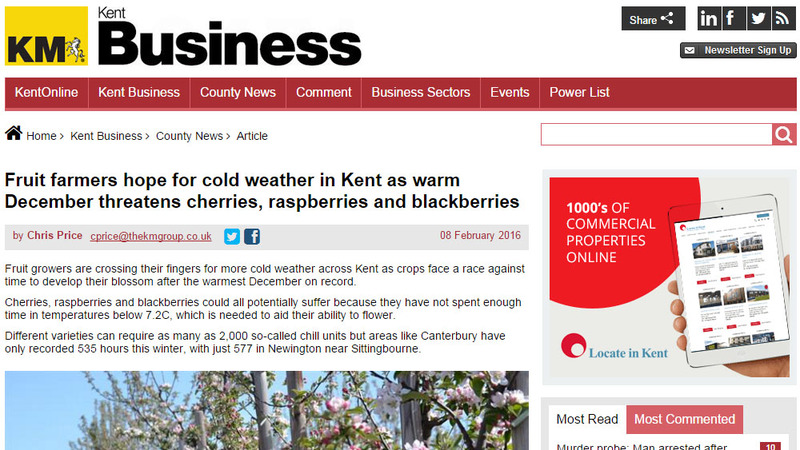 Fruit growers are crossing their fingers for more cold weather across Kent as crops face a race against time to develop their blossom after the warmest December on record. 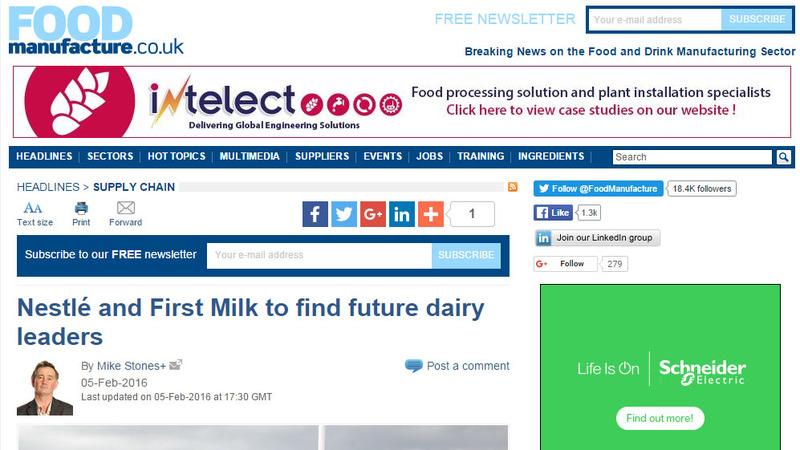 Nestlé and First Milk have joined forces to foster the next generation of dairy leaders. 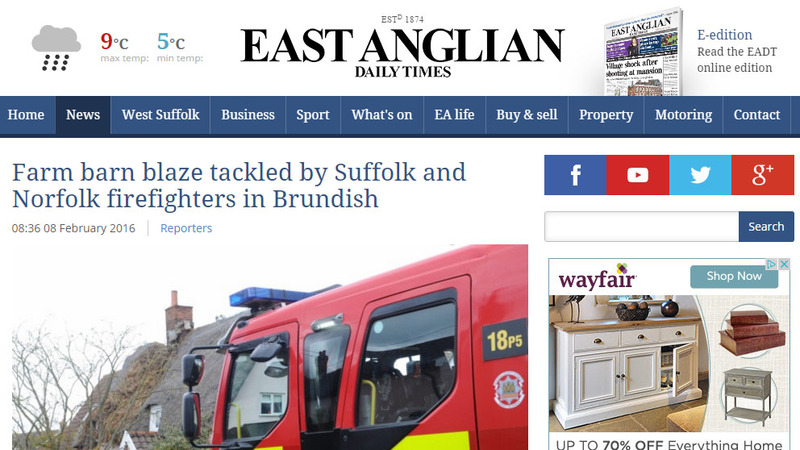 A blaze at a farm barn was tackled by firefighters in the mid-Suffolk countryside overnight. 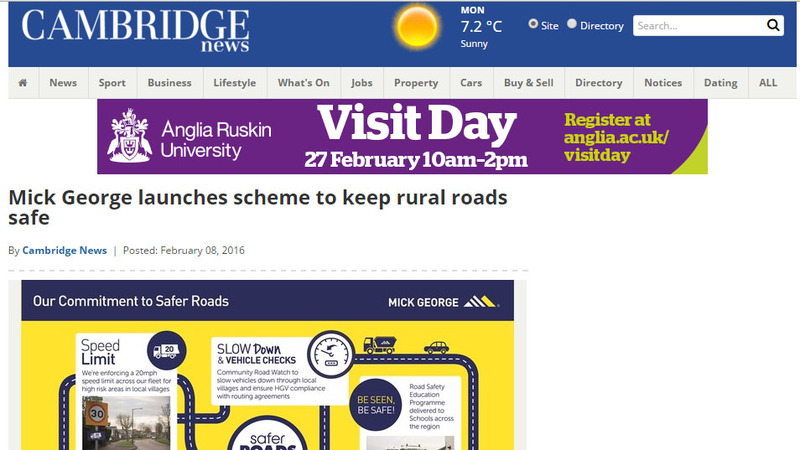 A building services and skip hire firm is launching a new initiative to keep rural roads safe from heavy goods vehicles (HGVs). 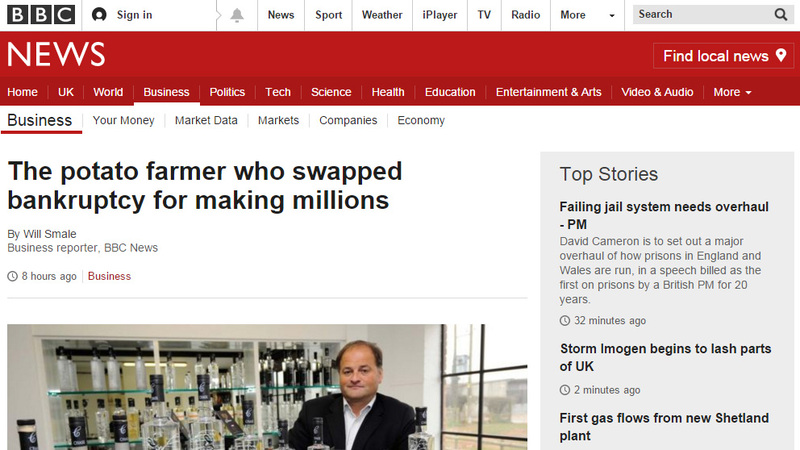 For a Herefordshire potato farmer, William Chase is impressively savvy about the need for positive publicity, and the importance of telling a good story. 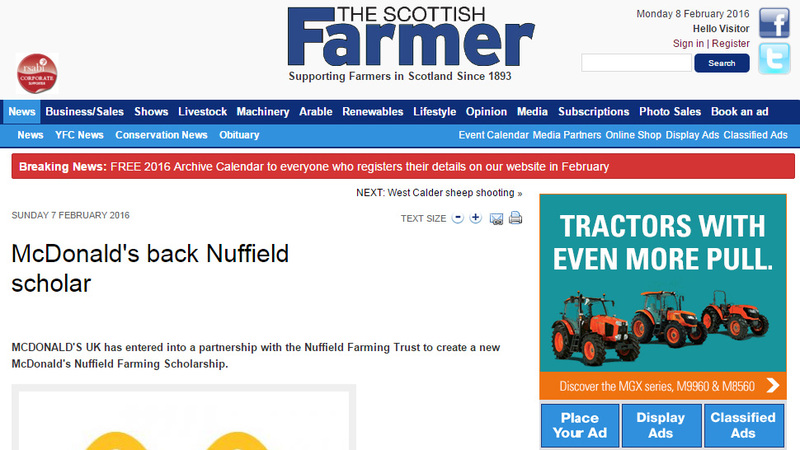 Next Article Livestock round-up: Are you prepared for lambing?